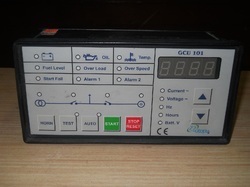 Genset control unit 101 suitable for AMF pannel. THIS BID IS FOR ONE UNIT DEIF RMP-121D Reverse Power Relay Generator Control 804164.20 DESCRIPTION: Used in great condition. Tested OK. SHIPPING: Worldwide air freight shipping which may take 10 - 15 days at best. GUARANTEE: Full money back if DOA. Reckoned as one of the emergent companies of the industry, we are extremely immersed in providing Genset Engine Control Unit. - We assure you of our best services at all times.